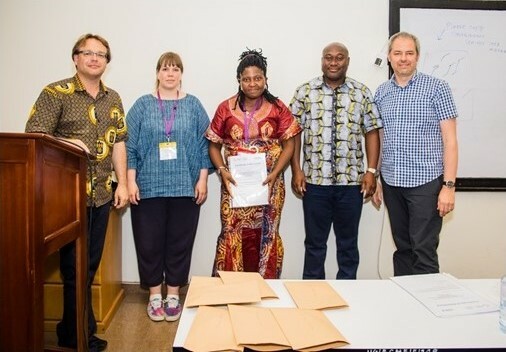 It has been a privilege to take our Wellcome Trust Advanced Course in Malaria Experimental Genetics to the University of Ghana this year. Co-directors were Drs. Ellen Bushell, Julian Rayner and Marcus Lee. We were impressed by a group of talented future research leaders from all over Africa. Prof. Gordon Awandare and WACCBIP were perfect hosts.